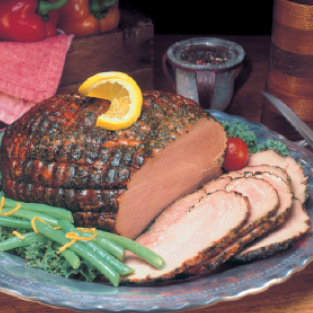 A zesty blend of pepper and spice adds a little kick to this ham. Our Peppered Hams are hand-rubbed with freshly cracked pepper and a select blend of savory spices, then slowly smoked over mesquite embers to bring out the delicious flavor. The perfect complement to your holiday table or a delightful gift to spice up a friend’s holiday!